5. 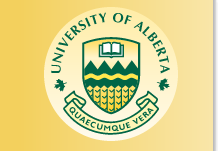 Why is the University of Alberta known as UQV? Finally, brothers, whatever is true, whatever is honourable, whatever is fair, whatever is pure, whatever is acceptable, whatever is commendable, if there is anything of excellence and if there is anything praiseworthy-keep thinking about these things. Rumor has it that when the University of Alberta sent in its request to join the IBM SHARE users group, that the SHARE code UA and other obvious two and three letter codes were already in use. Someone at SHARE looked at the seal that was part of the letterhead on which the application was written and used the first letters of the words from the Latin motto, QV, giving UQV, perhaps the "University of Whatever is True". It is a good story and not a bad phrase for a university to be known. There were several messages about this on the MTS-Interest e-mail list in June 2014.